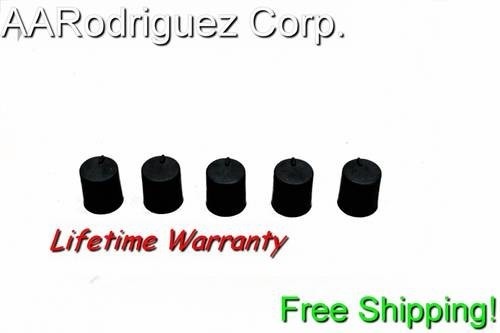 Radio knobs for VW MK4 Cars, Golf, Jetta, Passat and Beetle - zvw828002 - AARodriguez Corp.
Radio Knobs for VW MK4 cars! VW radios used a plastic knob with a metal sleeve inside of it, as they got older, many cars have had these radio knobs break off. VW used to sell replacement knobs, part number zvw828002, when these knobs were available to purchase, they were sold for $13.99+ at VW dealers. In early 2013, VW ran out of stock of these knobs and discontinued manufacturing them. We've made replacement knobs that are guaranteed for life, they fit perfectly, and we back them with a full satisfaction guarantee. If you aren't satisfied with these replacement knobs we'll pay for the return shipping on them and give you a full refund.